Two thing I’ve learned over the past few years in regards to coffee are … quality beans are a necessity for a great tasting cup and … the way you brew your coffee makes a huge difference in the taste. 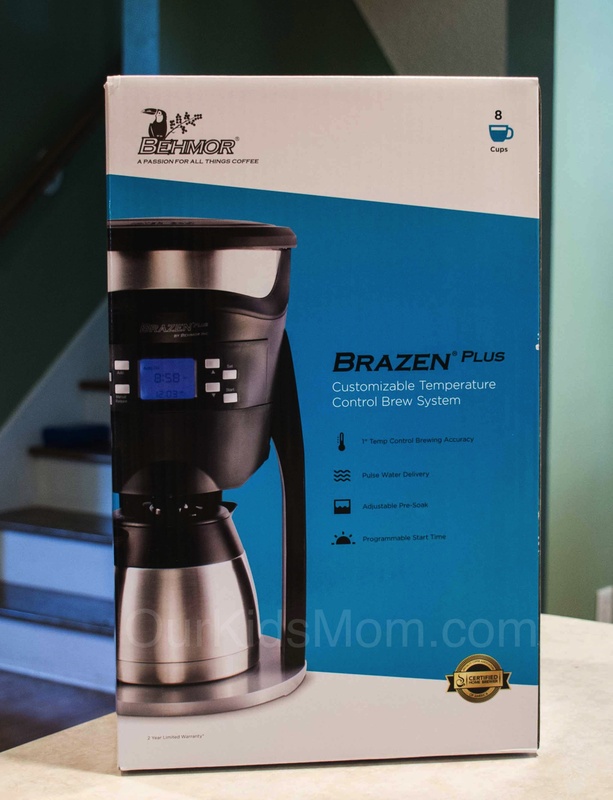 I was recently sent a Brazen Plus Customizable Temperature Control Brew System to put to the test. At this point in our coffee journey we have tried and given away many brewers including the “pod” ones. Our brews of choice at this point were the old fashion french press where we could control how long the coffee steeped before enjoying your cup of joe and the pour over method. I was so happy to hear that there was actually a brewer that let you have control. The reservoir is at the top of the machine under a twist locking cap. This holds a decent 8 cups. With the odd sized coffee mugs we have in our house, this equates to 2 very large cups of coffee per pot for us. 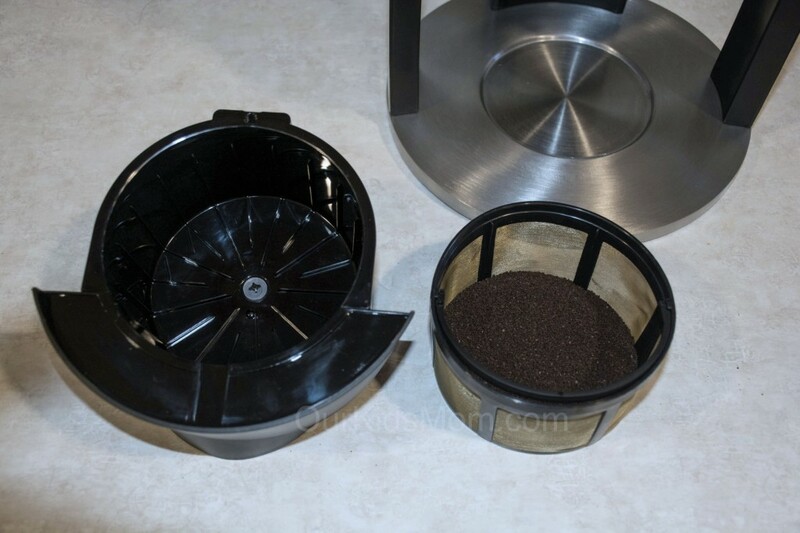 The extra capacity professional style grounds basket can be used with paper filters, or with the reusable extra capacity gold filter with easy flow mesh. We’ve used it both ways now and prefer paper filters purely for clean up purposes. We simple tip the basket upside and it falls out with no clean up. If you are a reusable filter type of person, this one is very good quality and functions fabulously. The display is large and easy to view, even to my husband and I who typically need glasses for reading. 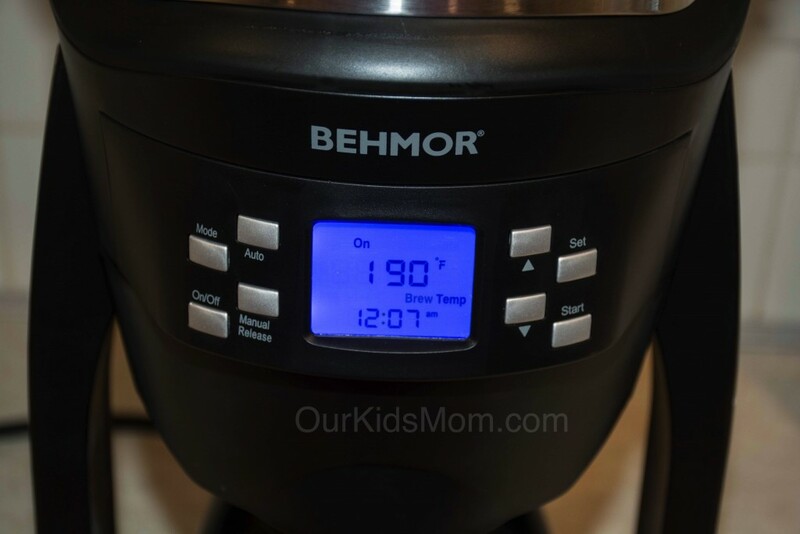 Here you can set the programmable brew start time so you can wake up to a fresh pot of coffee. This is also where you set your brewing temperature from 190F-210F (88C-99C). You can also set a pre-soak time to allow your coffee to bloom for a better flavor. Letting it soak for some time allows the flavor to deepen. 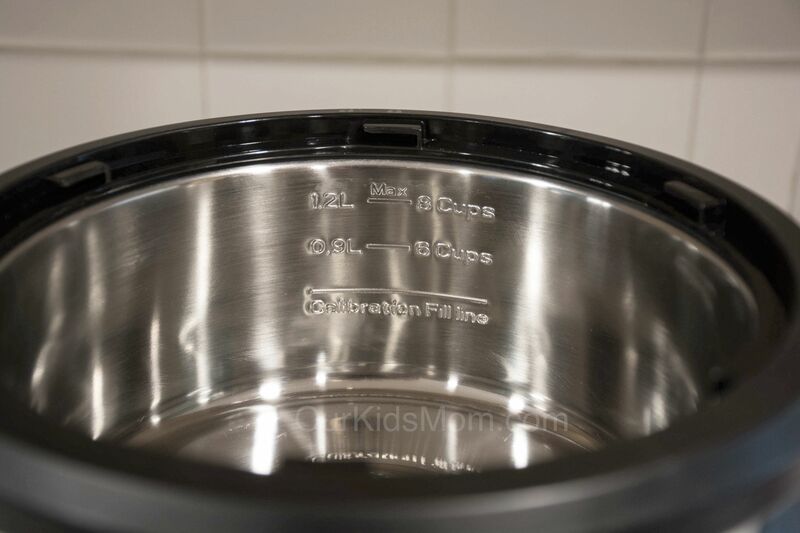 This pot gets nice and hot… the condensation under the reservoir lid and on the shower jets is proof. Speaking of the shower jet, this oversized showerhead helps make sure all the grounds are fully saturated with a pulsing water flow. With multiple jets instead of one stream you get a good even soak. The stainless steel carafe keeps the coffee warm for hours. 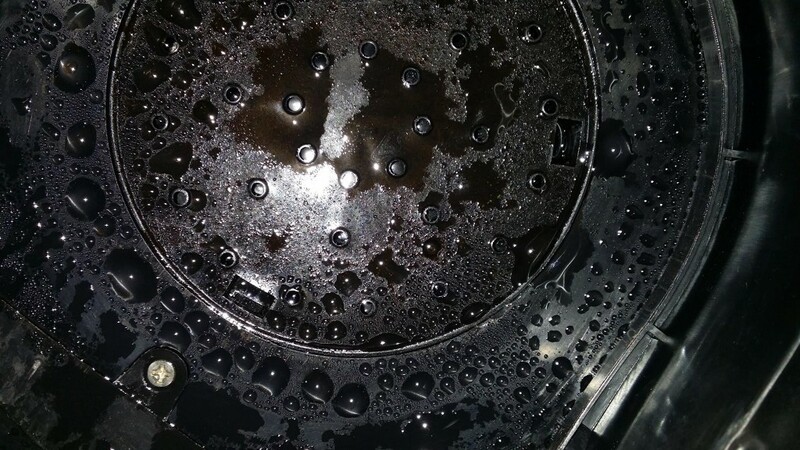 My husband has a pot set to brew at 5:30 am before he goes to work. By the time I get up and come downstairs at 8am the coffee is still hot and delicious because there isn’t heat under the pot to burn it. I’ve poured a cup up to four hours after brewing and it was delicious. I really cannot say enough good things about this brewer. This is the longest we’ve kept a brewer on our counter and we haven’t said a bad thing about it during our testing! I look forward to my cup of coffee every morning without having to stand and pour hot water over a “pour through”. 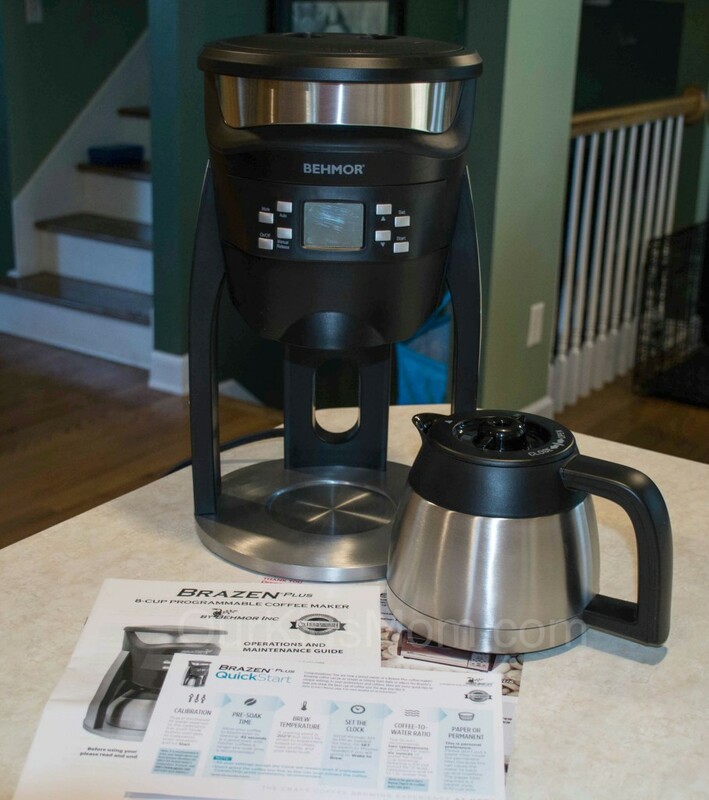 I’m not a coffee expert by any means, but I can say that if you are picky about the flavor of your coffee and the “pod” method or standard pot makers are cutting it for you, the Brazen Plus may be your brewer!